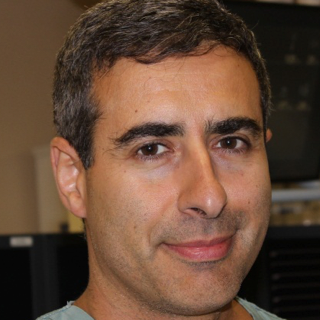 Neil Fam joined St. Michael's Hospital as an Interventional Cardiologist in 2007. He is Director of the Coronary Care Unit. He is a Clinician Teacher in the Division of Cardiology and is the Director of the University of Toronto Interventional Cardiology Fellows Course. Dr. Fam obtained his medical degree from the University of Toronto in 2000 and completed residency training in Internal Medicine and Cardiology at University of Toronto in 2006. He subsequently completed a clinical fellowship in Interventional Cardiology at St. Michael's Hospital.intervention. Dr. Fam's clinical interests include primary PCI for STEMI, and he is a member of the University of Toronto Heart Attack Collaborative, which is focused on the city-wide delivery of 24-7 primary PCI. He is also interested in the role of simulation in medical education, with an emphasis on coronary angiography and intervention.